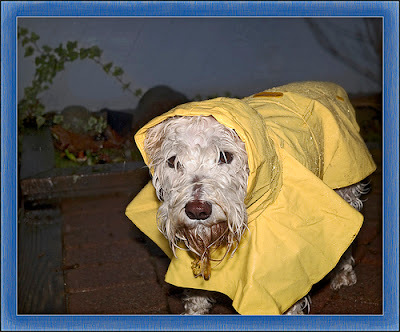 All Things Dog Blog All Things Dog Blog: #LitterChat Rain Date, Just in Case! #LitterChat Rain Date, Just in Case! It's easy to say that the show will go on, but you just never know when Twitter may have downtime. You know what they say about umbrellas. You never need one when you take one along. That's the point of setting a rain date for the Event Barkers #LitterChat Twitter Party. Just in case we experience Twitter downtime that continues for 15 minutes or longer, we'll reschedule #LitterChat for Thursday, July 18. Same time (8 PM ET); same prizes! Check in early and be ready to party! Trust me, the prizes aren't going anywhere until we pull off this shindig. So don't miss us. Let's make like actors and say "break a leg". In that case, we'll see you Tuesday evening at 8:30 PM ET.